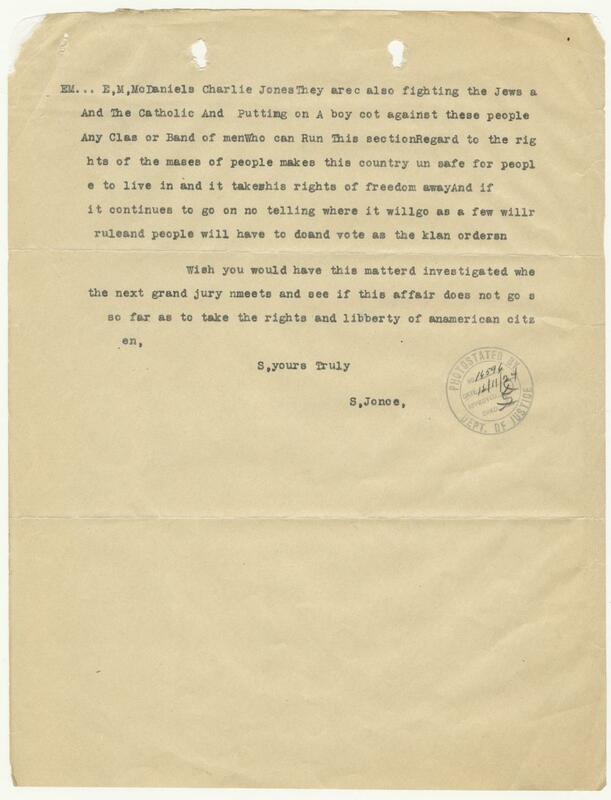 Membership in the Ku Klux Klan was at an all-time high in the mid-1920s when Selma, Alabama citizen S. Jonce wrote this heartfelt complaint letter to Attorney General Harlan F. Stone. Though Reconstruction- and civil rights-era incarnations of the Klan targeted black victims, historian David Chalmers points out, in the 1920s, “often the victims of the Klan were not blacks, Catholics, Jews, or new immigrants, but fellow white native-born Protestants who offended the Klan in some way.” Jonce doesn’t self-identify as a member of a particular ethnic group, but the incidents mentioned in his or her letter show how the Klan’s actions affected a wide range of people in his community. 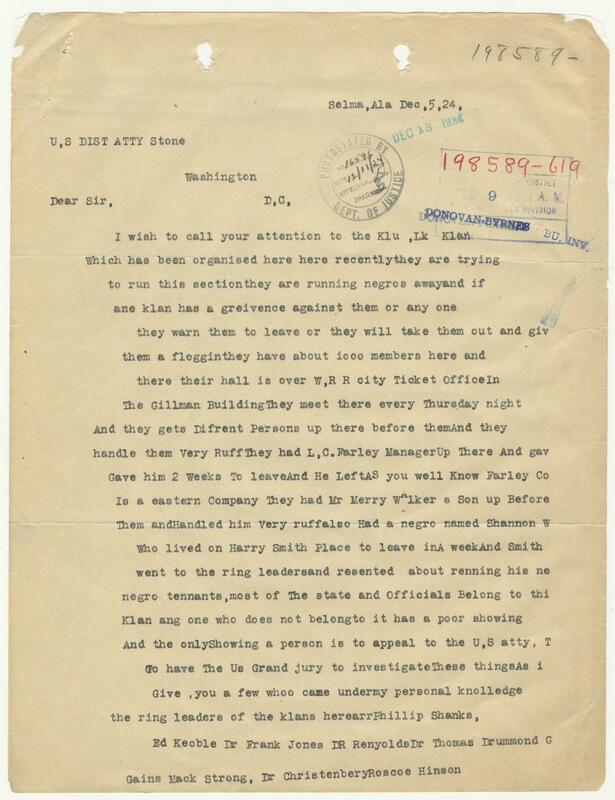 Presidents Harding and Coolidge and the Department of Justice received many such complaint letters during the 1920s. By the end of the decade, scandals in the KKK’s leadership, along with citizen opposition and local prosecutions, brought the KKK’s membership levels down. They would resurge in the postwar period, in response to the civil rights movement.